Today Environmental Air Systems Companies celebrated its official Open House at its new headquarters facility located in High Point, North Carolina at 250 Swathmore Avenue. Over 250 guests and employees were on hand for the presentations, plant tours and reception. Even Richard Pettys $1,000,000 winning 1971 Plymouth Roadrunner race car was on hand for the event and while out of state business precluded The King from attending, he was gracious enough to video his comments for the group. Speakers included Congressman Ted Budd, State Treasurer Dale Folwell, High Point Mayor Jay Wagner, Comfort Systems Executive Vice President Bill George, EAS President & CEO Brian Evans and EAS Vice President & GM Allen Absher. EAS employees, customers, suppliers and other guests including a number of state and local dignitaries were on hand for the open house and ribbon cutting. 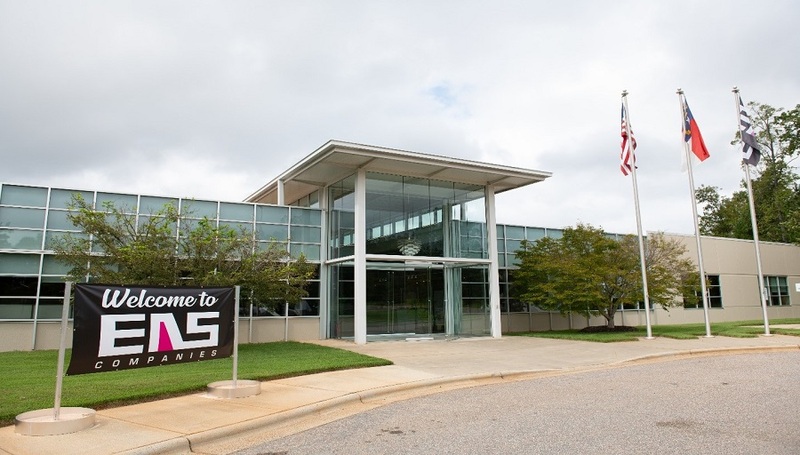 EAS purchased the facility late 2017 and just recently completed a multi-million-dollar upfit, installing additional equipment and a partial consolidation from other locations. They still operate out of two other manufacturing facilities in High Point and have a combined 450,000 SF under roof. Environmental Air Systems is a premiere design build mechanical contractor, a national manufacturer of custom-built HVAC solutions and a building automation controls and HVAC service provider. In conjunction with their custom HVAC offering, they also specialize in highly engineered modular off-site construction (OSC) applications for a variety of mission critical customers.